At Corrib Removals & Storage we recognize that a corporate move is a delicate and sensitive process. We have found the key to a successful, professional relocation is a clear line of communication. Our surveyor will visit you to discuss your removal requirements and survey the effects to move. During this visit we will look at access, packing, crate hire, special handling and delivery. Our team will devise a plan and keep your staff up to date whilst allowing you to concentrate on your business. Our crew will arrive to commence the packing and removal. Beforehand they will be fully briefed by the Surveyor who visited you, of all your particular concerns and any other background information relevant to carrying out a quiet and efficient move. The crew will be informed of special handling, crating etc. Thereafter your effects will be transported by road, sea or air or alternatively returned to our storage warehouse to await further instruction. Relax, as the crew unload and set up. 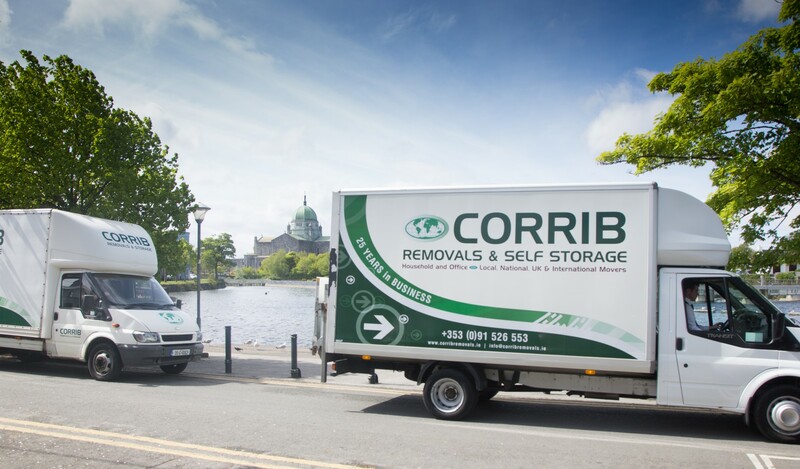 Corrib Removals removed the entire contents from all departments of the Court House. The work was carried out in a most exemplary manner and in a highly satisfactory condition and whilst the volume involved was substantial, not one single item was mislaid or damaged. Sean Ó’Domhnaill, County Registrar, Galway Court House.